Rock’n’roll dreamers Two Wounded Birds are back and now at long last, they will release their debut album, the self-titled ‘Two Wounded Birds’, on June 4th 2012 through Holiday Recording Friends (owned by Jacob Graham of The Drums). 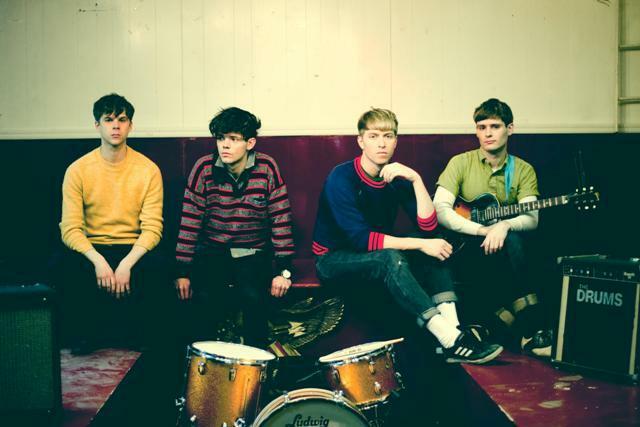 THE DRUMS NOVEMBER TOUR ANNOUNCED! Two Wounded Birds tell it all! Fresh from a high profile tour slot with The Drums, AAAMusic were lucky enough to catch up with new favourites Two Wounded Birds. Formed in the late, sultry Summer of 2008, Two Wounded Birds are kids by the sea, making music inspired from the haze of their childhood.